This is my first atttempt at a Disneyland photo in black and white. The idea to do this shot in monochrome actually did not come until the processing stage (and was suggested by my friend Natalie at that). My approach to the black and white processing was largely modeled on fellow flickr photographer Tony DeSantis. 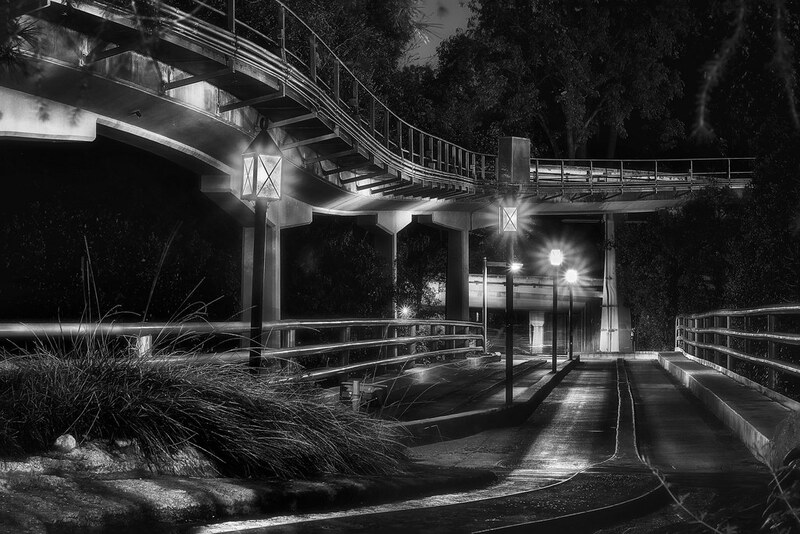 This entry was posted in Tomorrowland and tagged Autopia, black and white, monochrome, noir, road. Bookmark the permalink.